Like other Venezuelans around the U.S., Andrea Arizaleta Valera remembers what it was like to make the decision to leave family and friends behind two and a half years ago to move from Caracas to the U.S.
"It took me two years to adapt. I would call my mom and cry every day," said the college junior, who is studying computer science at Fordham University in New York. Under hard economic and political conditions, many Venezuelans have had to make that same decision, and many are anxiously looking at what is happening in their native country wondering what will come next. The economic crisis has turned Venezuela from a country that welcomed immigrants into a country of unwilling migrants. "The hardest part is to leave one's family behind in a place where you know they are not safe, where they might not have food," said Andrea, whose family is making plans to leave the country when they can. In a country where food is not only rationed but increasingly expensive due to inflation, and staying out past 9 pm is a risk not many are willing to take anymore, those who can migrate are increasingly choosing to do so. The population of Venezuelan immigrants in the United States grew more than five-fold from 1990 and 2013, and half of them have a college education, according to Pew Research. Those who stay endure a crisis that only seems to worsen. The International Monetary Fund has projected the inflation rate will skyrocket to 720 percent this year, and the murder rate is already one of the highest in the world. But some hold out hope; politically, the tides may be turning. If there was ever a prime moment for the opposition to win political ground, it seems to be now. Though the government may blame economic warfare from the business class and foreign powers, many Venezuelans hold their political leaders responsible for the crisis. "There appears to be a consensus, not only within the opposition but within the society in general, that the economic crisis, the crisis of governability, of public services - of public management cannot be resolved if there is not a political change in the short term," said Colette Capriles, social psychologist, political commentator and professor at Simón Bolívar University in Caracas. That political change may be coming. With a newly attained two-thirds majority in the National Assembly secured last December, the Venezuelan opposition has launched a plan to oust Chávez's successor, President Nicolás Maduro. The coalition of opposition parties, Mesa de la Unidad Democrática (MUD), recently unveiled its three-pronged plan. "All Venezuelans are victims of the worst crisis that our country has suffered," said MUD Secretary-General Jesús Torrealba in a press conference on March 8. "[The MUD] has unanimously decided to call on the Venezuelan people to compose the largest democratic movement of popular pressure that has ever existed to activate all—I repeat, all—the mechanisms of change found in our Constitution." The strategy consists of three different mechanisms with the sole goal of ending Maduro's presidency—popular pressure for a resignation, a constitutional amendment to shorten the presidential term from 6 to 4 years (which would effectively end Maduro's term this year), and a recall referendum. The opposition's recent triumph at the polls was its first victory of that magnitude in nearly 17 years, but it remains to be seen if holding a majority of legislative seats will be enough to effect change. 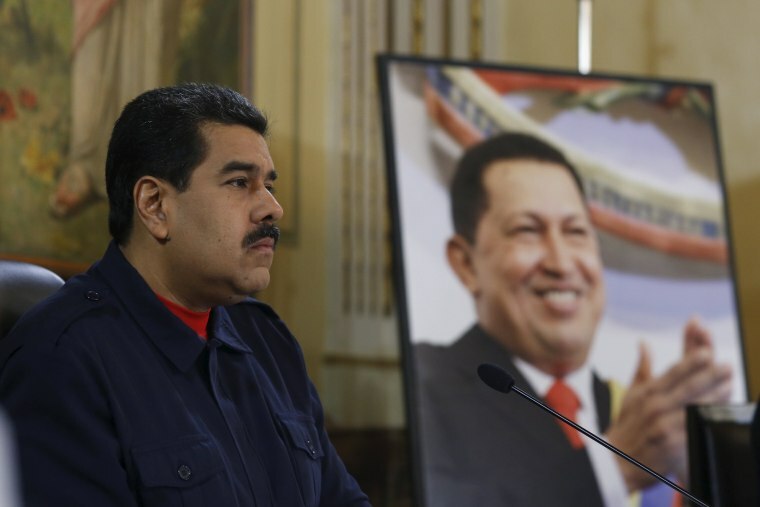 The Maduro government has already signaled that it does not intend to give up power easily. Sociologist and director of Caracas-based polling firm Datanálisis Dr. José Antonio Gil Yepes points out that in the presidentialist system, the legislative branch does not hold all that much power in comparison to the executive and the sympathizing judicial. Additionally, the surge in support for the opposition has lost steam in the months since the elections. Dr. Gil Yepes points out that the figures of support for the opposition and the government are once again converging, with self-identified supporters of the government rising from 22 to 34 points, and self-identified opponents dropping from 50 to 38 points. "In the opposition, there are too many parties, too many faces," said Yepes. "With the issues of the [political] amnesty law, the referendum, the constitutional reform, there have been too many political topics addressed for which the people didn't vote." Hunger, unemployment, low wages and inflation are the real reasons a majority of Venezuelans voted against Maduro's party, he said, and suggests the opposition would better capitalize on its electoral victory by prioritizing socioeconomic issues. The government's current economic policies have been put into place to "dismantle the private enterprise, which is always the other important sector in decision making," and have proven to be damaging. The opposition movement in Venezuela cannot simply depend on the disillusionment with the left's unfulfilled promises, but implementing a new vision is proving to be difficult if not impossible. The Supreme Court has already undermined the prerogatives of the legislative body in its latest rulings, including one blocking the National Assembly from investigating the naming of judges by the previous assembly. The opposition may not be able to make substantial changes on its own. "A political, peaceful, constitutional solution to the present crisis will not be possible if there isn’t a certain will of the governing party itself to… comprehend the political situation and facilitate the transition, change or alteration of a new government," said Ms. Capriles. One of the problems, Ms. Capriles notes, is that the Venezuelan government seems to be increasingly removed from the political reality. The government is in a position that appears to be increasingly further away from understanding the magnitude of the crisis Venezuelans live daily, instead constructing a narrative that sees Venezuela as the "last bastion of resistance of the continental project of the Latin American left," said Capriles. The political situation in Venezuela mirrors a larger trend in Latin America. A cornerstone of Chávez's presidency was establishing Venezuela as a regional powerhouse, asserting influence throughout Latin America by deploying populist rhetoric the country's immense oil wealth. At the turn of the century, Venezuela's Hugo Chavez and Brazil's Luiz Inacio Lula da Silva led the surge of leftist governments in the region. But that current now seems to be subsiding. "These countries' once-proud ambitions of only a decade ago now seem delusional," wrote Christopher Sabatini in "Foreign Policy" magazine. Argentina has replaced Cristina Fernández de Kirchner with center-right Mauricio Marci and Bolivia has voted against Evo Morales' proposal to extend the constitutional term limits. Brazil's Dilma Rousseff has found herself entangled in the corruption investigation involving da Silva, with opponents accusing her of protecting the former president and taking to the streets earlier this week. Although Venezuela seems to fit in with the regional trend, its case is also unique. Ms. Capriles cites Brazil as a contrasting case that highlights the hurdles in Venezuela that may set it apart from the rest of the continent. "The counterweight to the Brazilian government, Rousseff's government, and thus the power that can effectively investigate the management of Lula [da Silva] and of Rousseff's government itself, is the independent judicial power," said Capriles. In contrast, the Venezuelan government has coopted the judicial system as a political tool since 2000, when the new constitution entered into effect. "There has not been a single Supreme Court decision… that has not been beneficial to the government in 16 years. That disqualifies the supreme court as the arbiter that it should be." Even with a change of government, it is hard to say how long it would take for Venezuela to bounce back from years of economic and political turmoil. But the first step is a change. If the same winds steering Argentina and Brazil to the right will be strong enough to steer Venezuela in a new direction remains to be seen. "I cannot predict anything," said Dr. Gil Yepes. "Here, anything could happen." Marina Recio was born in Caracas, Venezuela and now resides in New York City, where she is a news intern with The Rachel Maddow Show on msnbc and a political science and communications student at Fordham University.